Nigeria Maintain 51st world Position, 9th In Africa in new FIFA World Ranking – Royal Times of Nigeria. The Super Eagles of Nigeria have maintained their fifty-first position in the latest Federation of International Football Association (FIFA) Coca Cola World Ranking released today. The latest rankings was published on FIFA’s official website. 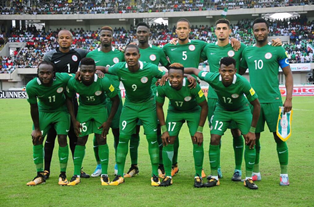 The Eagles retained their ninth position in Africa. Meanwhile, the top three ranked countries in the world are Germany, Brazil and Portugal. The next FIFA/Coca-Cola World Ranking will be published on 15 February 2018.